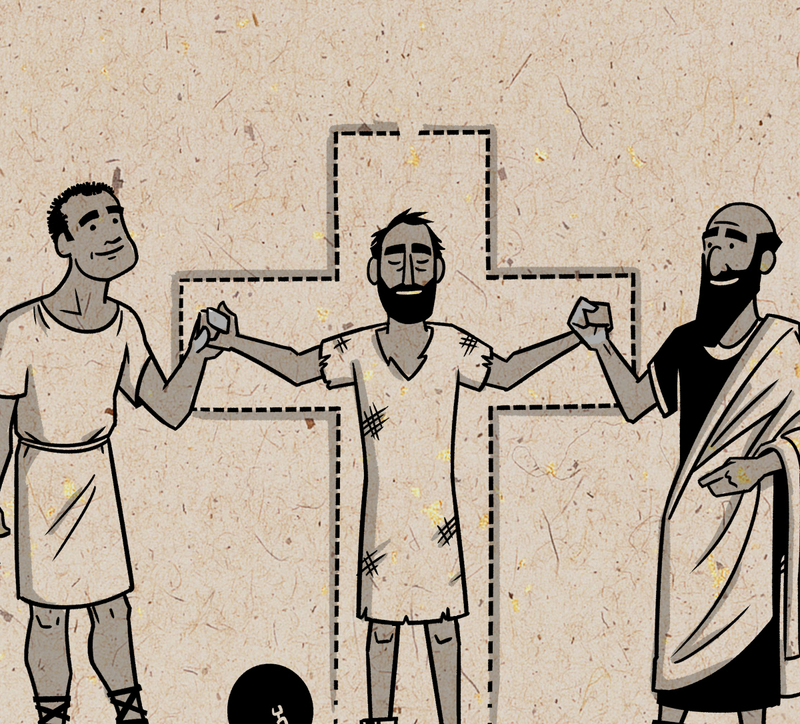 Paul helps his friend Philemon to reconcile with his escaped former slave Onesimus, and shows that they are equals because of Jesus. One of Paul's shortest and the most explosive letters, the book of Philemon demonstrates the gospel through action. It's written to Philemon whose slave Onesimus ran away and became a believer under Paul's teaching. Philemon is a believer in Jesus and Paul's fellow worker. His slave Onesimus ran away but became a believer who ministers to Paul in prison. Believers in Jesus must recognize and act on the truth that His followers are equal partners who share the gift of God's love and grace. Paul asks Philemon to embrace God's new humanity, forgive his former slave Onesimus and welcome him back as a brother, partner and equal in Christ. Paul willingly takes on any consequences of Onesimus' wrongdoing so that Onesimus and Philemon can reconcile before God and to each other as equal partners. Paul ends the book of Philemon with an affirmation that he's confident Philemon will do what he requested and more regarding accepting and forgiving Onesimus. Paul urges Philemon to forgive Onesimus and accept him back as an equal. Because they are both believers, God's grace and healing mercy have made them partners under the new humanity Jesus' established. While Paul doesn't mention Jesus' death and resurrection directly in this book, he offers to take on any punishment Onesimus deserves, a demonstration of what Jesus did on the cross. He encourages Philemon to do the same as he reconciles to Onesimus before God. Throughout the book of Hebrews, we discover that Jesus is greater than any Old Testament event or person. He is the ultimate revelation of God's love and mercy and is worthy of our devotion. Prof. N.T. Wright compares Paul's letter to Philemon to a letter of Pliny showing powerful countercultural differences.